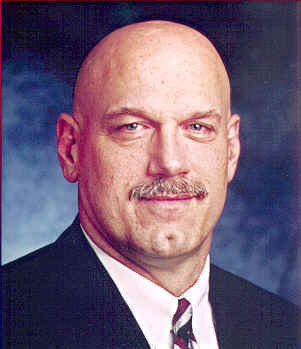 In addition to the array of interviews (like this one with HPTi’s David Cradlin), and assorted GovCon news we cover daily, we recently got wind of this story: Jesse “The Body” Ventura is going another round, but this time around he is taking (verbal) jabs at TSA’s controversial passenger screening processes. The former Minnesota governor and pro wrestler filed a lawsuit yesterday in federal court in Minnesota against the Department of Homeland Security and the Transportation Security Administration, according to media reports. In his suit, Ventura claimed full-body scans and pat-downs at airport checkpoints violate his right to be free from unreasonable searches and seizures. According to Reuters, Ventura, who currently is the host of the TV show “Conspiracy Theory,” had hip replacement surgery in 2008 and received a titanium implant, which set off airport metal detectors prior to one of his frequent travels. The lawsuit alleges the pat-down he was subjected to are “intrusive” and “degrading,” and exposed him to humiliation and degradation through unwanted touching, gripping and rubbing of the intimate areas of his body. DHS Secretary Janet Napolitano said in December the new technology and the pat-downs were “objectively safer for our traveling public,” a statement that has been hotly debated among civil liberty and privacy advocates. Politicians, too, have done their fair share of weighing in on this particular hot-button topic. In November, Rep. Ron Paul (R-Texas) called the controversy over full-body scanners and enhanced pat-downs a “calamity,” and introduced the American Traveler Dignity Act, according to ExecutiveGov. “Private property should be protected by private individuals, not bureaucrats, but the bill that I’ve introduced will take care of it,” Paul said.